Robert A. Linne’s research interests include adolescent literacy; youth cultures; literature and media; and queer youth and education. He co-authored the book Organizing the Curriculum: Perspectives on Teaching the U.S. Labor Movement, in addition to numerous book chapters, and his academic articles have been published in journals including New Voices in Labour Studies. He serves on the editorial board for the International Journal of Qualitative Studies in Education, The Journal of Culture and Education, and Journal of Curriculum Theorizing. 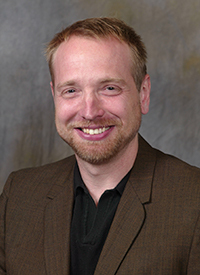 Linne earned both his Ph.D. in Language and Literacy Studies/Composition Studies and his B.A. in English and History from The University of Texas at Austin. He also holds an M.A. in Multidisciplinary Studies from Texas A&M University at Corpus Christi.